What You Need to Know About Filing Taxes After a Loved One’s Death? Many clients who are suddenly facing the prospect of losing a loved one find themselves in over their head and extremely confused about the next steps they need to take. There may be nothing certain about life except death and taxes, but filing and paying taxes after a loved one has died can seem like a lot to do. The final return must be done whether it falls to an executor or the heirs. If an individual passes away during the year and he or she received income, then a tax return is needed. If your spouse passes away during the year, you can file married, file in jointly or married filed separately, whichever of these gives you the preferred tax treatment of your income. Sometimes you must carry out different tax calculations in order to determine this. Money that is received from IRAs, life insurance annuities or other pensions may have tax implications that need to be handled and appropriate tax planning is essential. Funds are received, taxes become due and it can become a serious problem if no planning was done to cushion the shock of the tax bill. When dealing with a multitude of issues after losing a loved one, getting financial assistance may seem like just one more step. However, a few minutes with a professional can be a stress reliever and can give you a clear course of action. It is especially important to consider the financial tax return implications when business partners are involved. 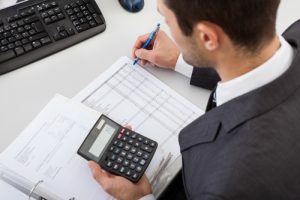 Even if the partners are spouses, there are numerous considerations that need to be carefully calculated and taxes filed for the business that may include a final business return. Business taxes are extremely complicated and require the insight of a professional.